The two countries also agreed to exchange trade delegations, organise trade fairs, single country trade fair and sign the pending memorandum of understandings on the Bilateral Trade Promotion and Protection Agreement and the Bilateral Agreement for the Avoidance of Double Taxation soon. A commerce secretary-level meeting will take place in Kathmandu at the earliest, said the foreign affairs ministry of Bangladesh in a statement yesterday. The decisions were taken during the second Foreign Office Consultation between Bangladesh and Nepal in Dhaka on October 8. Foreign Affairs Secretary Md Shahidul Haque led a 10-member Bangladesh delegation while his counterpart Shanker Das Bairagi led a nine-member team. The meeting largely focused on bilateral trade, connectivity, power and energy cooperation, higher education and human resource development, said foreign ministry officials. Both the foreign secretaries agreed that the bilateral trade volume is far below the potential and called for addressing existing tariffs and trade-related barriers. Bangladesh exported goods worth $17.89 million to Nepal in 2015-16 and imported products of $9.43 million, according to data compiled by the Dhaka Chamber of Commerce and Industry. 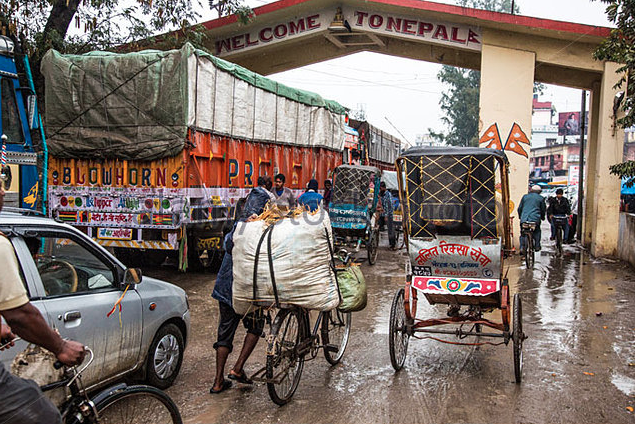 The two sides recognised that operationalisation of the Motor Vehicle Agreement – signed by Bangladesh, Bhutan, India and Nepal – would help flourish trade and people-to-people connectivity in the region. Although the deal has not come into force yet, Dhaka and Kathmandu agreed to discuss with India about the modalities for early implementation of the accord. The two secretaries emphasised establishing multimodal connectivity, including railway and air connectivity, between the two countries to promote bilateral trade, investment and tourism. They stressed the need for holding joint working groups meeting under sub-regional cooperation involving India, Bangladesh, Nepal and Bhutan regularly for mutual benefit. The two secretaries put emphasis on comprehensive engagement and further cooperation between the two countries in the areas of power sector cooperation, tourism, culture and people-to-people contact to widen and deepen a more engaging and result-oriented relationship. Following a request from the Nepalese secretary, Haque assured to allocate two seats annually to Nepalese junior diplomats in the Foreign Service Academy of Bangladesh allowing them to undertake specialised training course on diplomacy.